California housing market eases into fall homebuying season, increasing 1.7 percent from last year. San Francisco Bay Area’s median price of single family homes was $813,520 increasing 5.6 percent from last year. 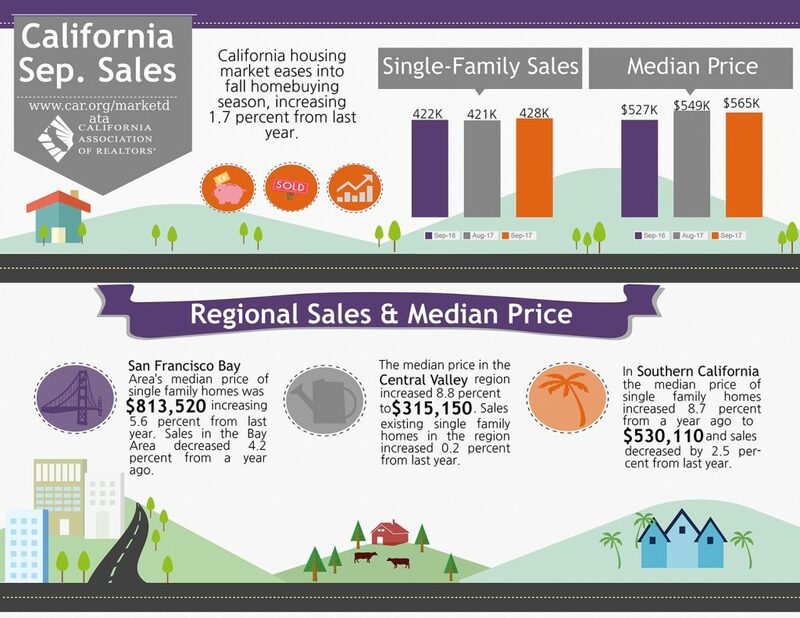 Sales in the Bay Area decreased 4.2 percent from a year ago.